Dragons Landing is an owner-run horse trail company, situated in the majestic Southern Drakensberg, a UNESCO World Heritage Site. Our horses are a mixture of South African Boerperds, Thoroughbreds and Warmblood crosses. They range from 15hh – 16.2hh. The objective is to offer our clients an exciting day in the saddle with varying terrain, all the while enjoying the breath-taking scenery of the Southern Drakensberg. 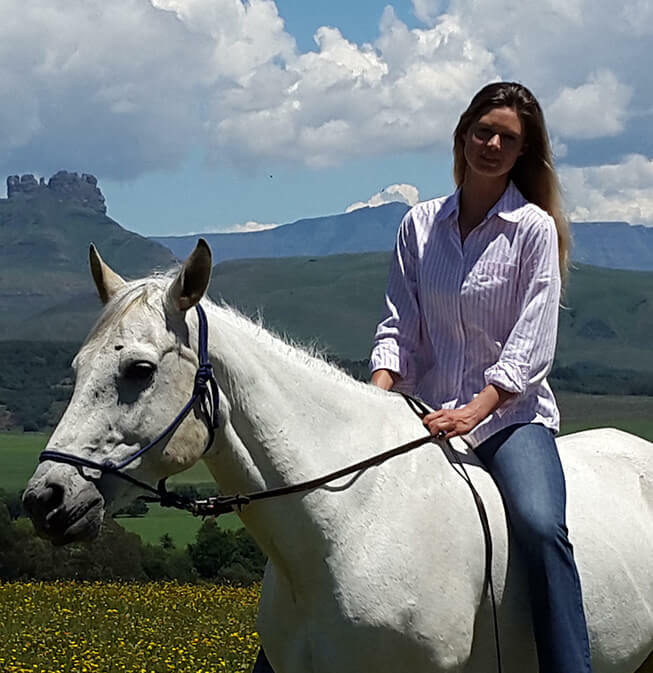 My name is Sonja Swanepoel and I am the owner and operator of Dragons Landing Horse Trails and Farm Stay. Your safety and enjoyment is my priority. You can find more customer reviews on our Facebook page!